UPDATE: This guide is no longer valid. 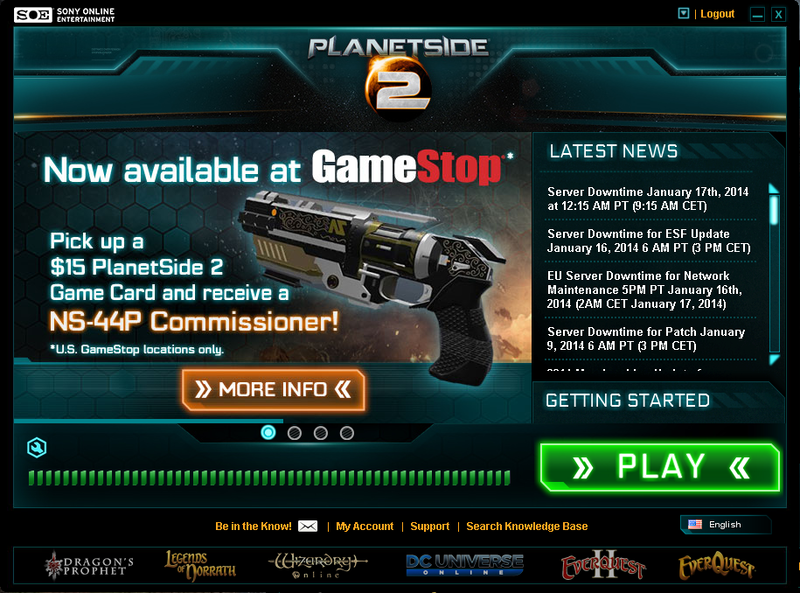 There is no longer an autoplay feature for the PlanetSide 2 Launchpad. Thanks to TheLoneGamers.com reader Hobbamok for the heads up! Credit up front: I did not come up with this. I saw this in an old thread on Reddit that was under appreciated and felt that I should give the instructions a permanent home on this website. The real credit for this work goes to Ghirkin. Republishing this guide here should give it much better page ranking on most search engines making this gem much easier to find. 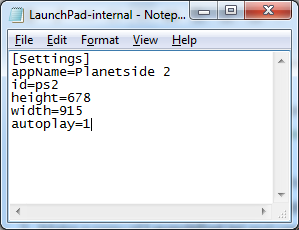 Following these steps will configure the Planetside 2 Launchpad to automatically run Planetside 2 once the game is fully up to date and logged in. Setting the launchpad to stay logged in will require the player to only click or double-click the Planetside 2 icon. While the autorun option is an available option for the station launchpad, each run, the launchpad overwrites the configuration files (LaunchPad.ini and LaunchPad-user.ini), negating any custom configuration done by the player. In order to work around this glaring problem, the solution is to create a third configuration file with the autorun option enabled. Run Planetside 2 and if not already logged in, log in and check the box next to “Remember me on this computer”. Make a copy of LaunchPad.ini and rename the copy to LaunchPad-internal.ini. Open LaunchPad-internal.ini with notepad (or your preferred text editor).